The Autotrends is proud to be involved in the Greensboro community. We don't just believe in serving our customers, but we live to serve those less fortunate than ourselves. Wheels 4 Hope: We are fortunate enough to be a partner of such an amazing organization that turns used vehicles into blessings for local residents in need. Consider recycling your used vehicle to such a great cause. Give it new life and help someone get cloer to achieving their dreams. Learn about a couple of Wheels 4 Hope recipients! Brian and his fmaily moved to North Carolin last year after losing their home and personal belongings in a flood. Before owning his 1996 Honda CRV, Brian rode the bus two hours a day to get to work. Sharon is a StepUp Greensboro Job Ready program graduate. Before owning her 1993 Buick Regal, Sharon relied on the train, cabs, and rides to get back and forth. 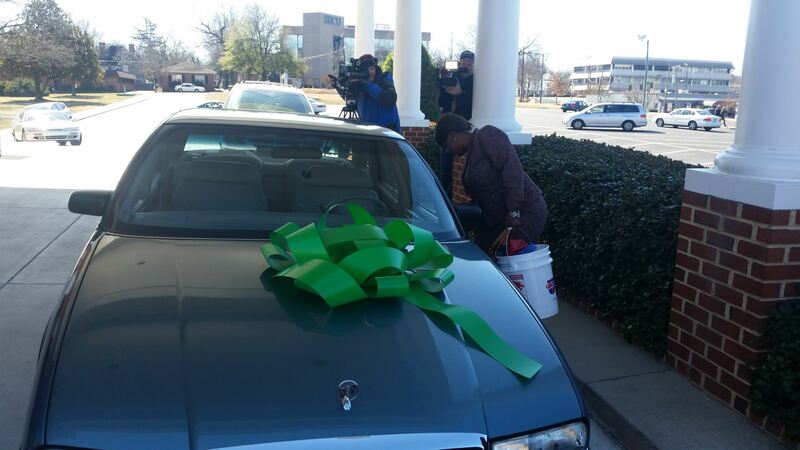 This car gives Sharon the boost she needs towards self sufficiency. "Now I can be independent. This car will give me new opportunities and the potential for a new job."